It took us many many years and many many camping trips to get to this point in our camping careers. Perhaps a look down memory lane will shine some light on our journey thus far. Our camping adventures started at the same time that our family journey began. My husband and I were both camping enthusiasts and decided to make it a big part of our lives. In fact, we spent our honeymoon at Pog Lake in Algonquin Provincial Park. Although this may not be the romantic honeymoon that every couple dreams of; for us it solidified our desire to incorporate camping into our lifestyle. Not only did our honeymoon inspire our family culture, but it also became a very fond place in our hearts, as we fell in love with the solitude and pure beauty of the park. So much so that we made a pledge to make it an annual family vacation destination. and now our family of 4 lives the life of luxury at the various campsites that we frequent. And now we live the life of luxury at the campsites. We purchased our latest trailer at the end of the camping season last year. We only were able to spend about 2 weeks in it before we had to winterize it. It is everything we ever wanted and dreamed of in a trailer. Now, (insert spoiler alert here) I know that there will be ample posts about our new trailer in the near future, so I don’t want to say too much now! The one thing I will say about this trailer right now is that it is BIG – BIIIIGGGGGGG! So big that we can no longer fit on any of our preferred sites in Algonquin Provincial Park. Oh what are we to do? I think we have to go tent camping up there for a weekend sometime soon – ironic isn’t it? With the purchase of a big trailer came a big decision. Do we want to tow this trailer all over God’s Green Earth and continue with our “Are We There Yet Camping?” Or do we try setting up roots at a local Provincial Park for the season? You see, for the past two summers we have been home for only one weekend and we also took 2 two week camping trips. That’s a lot of camping, which means costly camping fees, a lot of gas and A LOT of planning. So, we toyed with the idea of applying for Seasonal Camping or Extended Stay Camping. After many months of waiting, we finally found out that we got in! 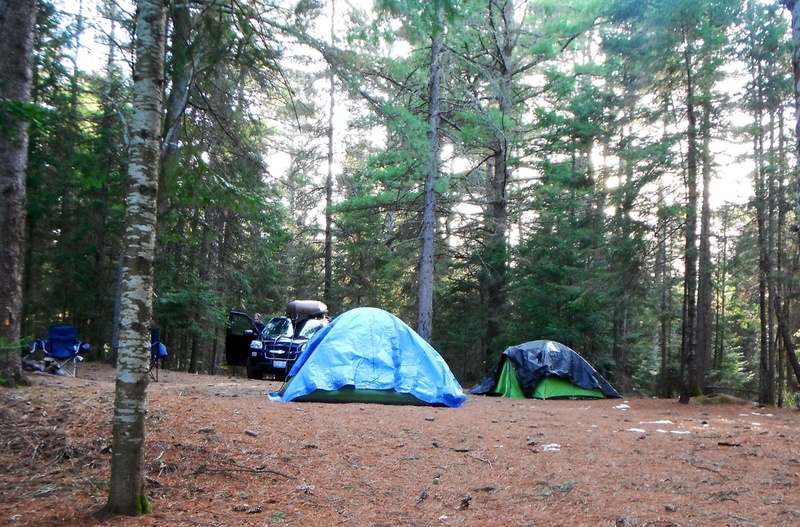 This entry was posted in Our Camping Stories and tagged Algonquin Provincial Park, Campground, Camping, Camping Adventures, Flagstaff, Hybrid, Mew Lake, Pog Lake, RV, Seasonal, Tent, Tent Camping, Trailer, Transition, Travel Trailer. Bookmark the permalink. 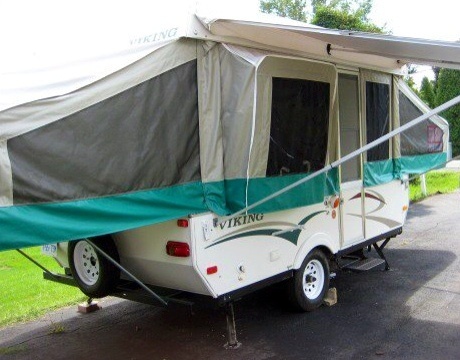 Extended stay camping sounds awesome, can’t wait to hear more about your experience. Are you camping in Canada, are Provincial Parks kinda like the U.S. National Parks? Provincial Parks. Thanks for following and happy camping!